For business and leisure travelers, Paragon Limousine provides quality transportation to and from (ATL) Hartsfield-Jackson Atlanta International Airport, (PDK) DeKalb Peachtree Airport, (FTY) Fulton County Airport at Charlie Brown Field, (KLZU) Gwinnett County Airport at Briscoe Field and all other private airports. When you need reliable transportation to the airport, a business meeting, corporate event or any other corporate affair, trust Paragon Limousine to get you there on time and in style. Specializing in corporate transportation, we are a full service limousine company dedicated to providing our hard-working clients with the highest standard in luxury and service. Between our general limousine fleet, to our exotic limousine fleet or our party bus fleet, Paragon Limousine is a full service limousine company serving the Atlanta metropolitan area and can handle any event you have. 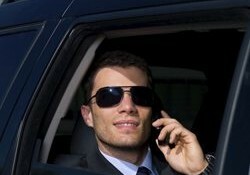 Regardless of where you are traveling to or from, airport limo service Atlanta can be a stressful experience. We understand that traveling for business is not something that people look forward to anymore. In fact, sometimes the experience at the airport can often be the most stressful part of the entire trip. With long lines at check-in, longer lines at security checkpoints, more lines for boarding, tight seats, screaming babies and lost luggage, we understand that the last thing anyone needs is a hassle getting to or from the airport. Our chauffeurs are friendly and informed. 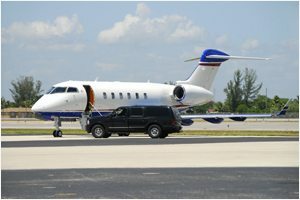 They know the airports through and through as well as the surrounding areas. They do their best using their knowledge of the surrounding areas to ensure that their clients arrive at the airport with time to spare. Even if there is a traffic situation, our chauffeurs do everything they can to go around any traffic incident in the area. We even use high-tech equipment to monitor your arrival, gate information and any traffic events in the area to be certain that you get to where you need to be in a relaxed and stress-free environment. We even use baggage claim curbside pickup to quickly and economically get our clients out of the hustle and bustle of the airport, and on their way to their next destination. 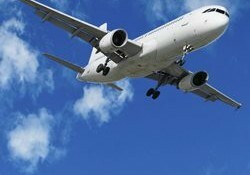 We understand that corporate travel has become a necessity in today's society. When you are traveling for business purposes or entrusting us with the travel needs of a client or business associate, you can be sure to make a great impression. Your corporate airport limo service Atlanta will begin with an on-time pick up or drop off that will arrive with time to spare, safe and sound. When you're traveling with a group of people, whether it be family, friends, school or the like, you know how important it is to have everyone arriving and leaving at the same time. This cuts down on waiting, people arriving late, or even missed flights. The best way to provide airport limo service Atlanta with a group is to have one of our vans, mini-buses, passenger coaches or stretch limousines get all of your guests to and from the airport on time and altogether! When you're planning a special trip or vacation, we know that you want to start it off in the best way possible. 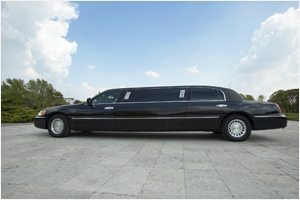 What better way to start your trip than with a limousine or car service taking you to and from the airport? Relax in one of our beautiful limousines. Have the kids watch a movie or sit back and enjoy a drink. Don't worry about packing up the car. Don't worry about sitting in traffic and potentially missing your flight. Leave the worrying to us and enjoy your airport limo service Atlanta from the startrt. We provide quality airport limo service Atlanta to and from (ATL) Hartsfield-Jackson Atlanta International Airport, (PDK) DeKalb Peachtree Airport, (FTY) Fulton County Airport at Charlie Brown Field, (KLZU) Gwinnett County Airport at Briscoe Field and all other private airports in the area.